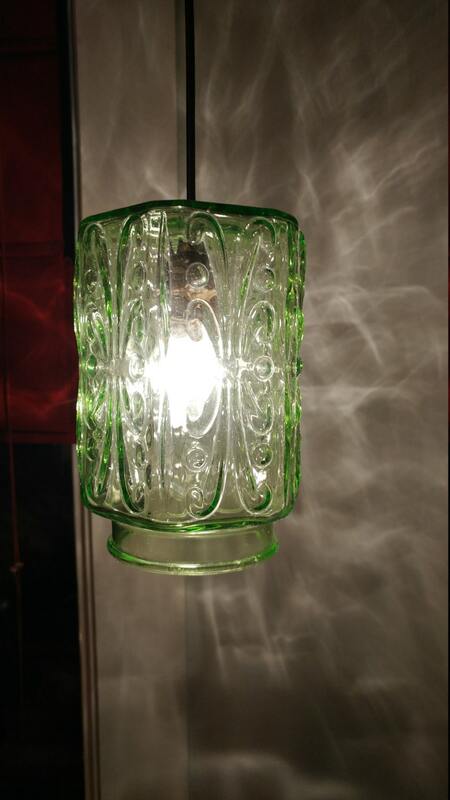 Vintage detailed green glass canister pendant light. 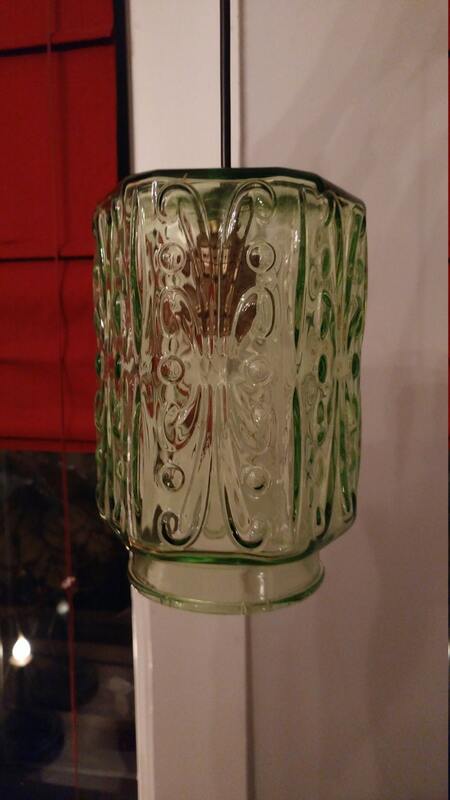 The light takes a standard bulb (not included). All UL Listed products!